Mass spectrometry has become a vital tool for scientist in exploring how biological systems function and how therapeutic drug intervention impact these systems. 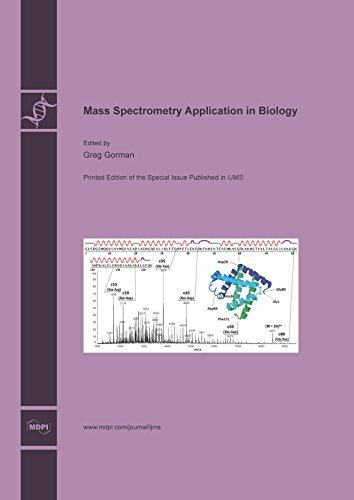 This volume will focus on the application of mass spectrometry to biological problems that focus on the advancement of medicine and curing diseases. This textbook conveys the major themes of biology, such as a foundation in evolution, and features a rich and engaging art program. It is intended for the introductory biology course for non-science majors taught at most two- and four-year colleges. The book presents our sensory system from an engineering and information processing point of view. This provides insight in the performance of our senses. It also provides understanding of how our senses transduce external information into signals. The content of the test is organized into three major areas: cellular and molecular biology, organismal biology, and ecology and evolution. The test consists of approximately 200 five-choice questions, a number of which are grouped in sets.